The premier Bed & Breakfast in Colorado Springs. 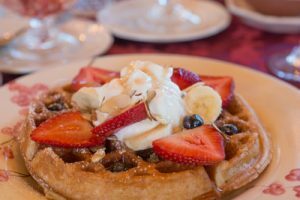 by BedandBreakfast.com from 2008 to the present! 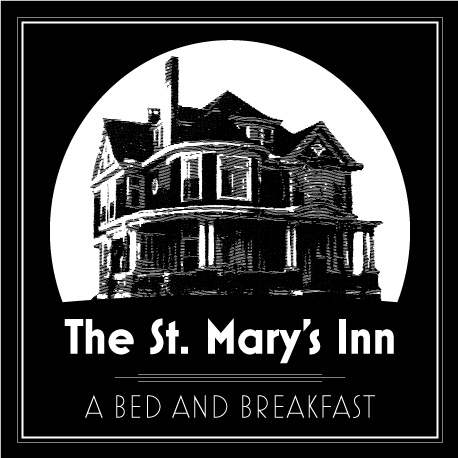 The St. Mary's Inn Bed & Breakfast is centrally located in downtown Colorado Springs, 3 blocks from Colorado College and all downtown restaurants. Our Nine Suite, Adults Only (16+) Inn offers an exceptionally clean and comfortable turn-of-the-century experience. Built in 1895, and restored with all modern amenities offering the luxury and comfort of a luxurious Bed and Breakfast.​ Enjoy our virtual tour and see for your self. The many benefits include: brand new plumbing and Jacuzzi whirlpools, new electrical, new clean facility, free parking in our fully fenced, off-street parking lot, free high-speed internet, private bathrooms, individual air conditioners and/or heaters and ceiling fans for your comfort, refrigerators, robes for luxury, ironing board for practical purposes, TV, and much more. Our goal at The St. Mary's Inn is to anticipate and cater to all your needs. See the full list of services and amenities offered at our bed and breakfast. 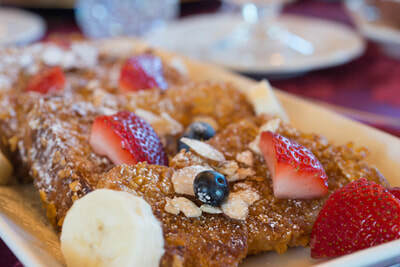 Start your day with plentiful, freshly brewed coffee and our delicious gourmet breakfast featuring daily specials that include our signature French Toast and fresh fruit. Enjoy some of our favorite activities while you are visiting The St. Mary's Inn Bed & Breakfast. We also offer a full list of Things to do in Colorado Springs year round. The St. Mary's Inn Bed & Breakfast is the perfect choice for a Romantic Getaways in Colorado Springs or Colorado Couples Getaway vacations in Colorado Springs. ​The St. Mary's Inn offers a private parking lot, subject to availability. The private lot is entered off of Willamette Street, to the rear of the inn. Free on-street parking is also available. There are shuttles for a quick trip up to Denver or to DIA if you need a pick up at the airport. Contact us today to find out more. 719-540-2222. We have added two new Suites to The St. Mary's Inn Bed & Breakfast! Staying at The St. Mary’s Inn Bed & Breakfast is the perfect choice for lodging when you need a relaxing escape. Our B&B provides a better value. 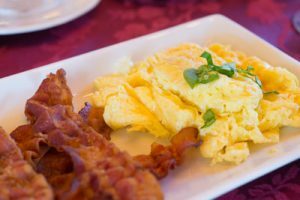 From personalized attention to delicious food, there are many reasons to choose our bed and breakfast over a hotel. We go the extra mile to make sure you feel welcome and comfortable. At our Colorado Springs B&B you get more personal attention and assistance. Whether you need tips on what to do in the area or you just have questions about the bed and breakfast, never feel too shy to ask. Every bed and breakfast is unique. And you won't want to miss our delicious home cooked breakfast. ​Visiting Colorado College? Our upscale comfortable Inn is just three short blocks to the school. We offer the perfect place to stay for the next four years while your son or daughter is attending Colorado College. Make your reservations today!